With expert tuition and small class sizes, this course gives keen writers the opportunity to explore and develop their craft. Our two-year, part-time Diploma allows you to strengthen your ability in four major areas of literary activity — prose, poetry, drama and analytical reading — as well as the chance to specialise in the medium of your choice. The course is structured around Saturday day schools (four per term), offering a rich combination of seminars, one-to-one tutorials and group discussions. The chance to have your work read and analysed by a supportive, suitably skilled peer group is one of the great benefits of the course, offering fresh perspectives and insights on your writing. At the same time, we emphasise the importance of individual voice and vision, and there will be ample time for one-to-one, in-depth discussion of your work. Many of our former students have had work accepted for publication during or after their time with us. A significant number have progressed to Creative Writing MAs at a range of universities, including Oxford University’s MSt in Creative Writing. We are looking for enthusiastic writers with a strong commitment to improving their craft, an awareness of literary areas and a degree of articulacy in discussing them, and the capacity for intellectual and imaginative development. Do be aware that this is an intensive and challenging course, and you will need to consider carefully whether you can offer the high level of commitment required. You should be prepared to devote at least 12 hours a week to your writing outside of the timetabled classes. You don’t need formal qualifications. You must already be active as a writer, but it is not essential to have been published. Our students come from many backgrounds, and range in age from their 20s to their 70s. Some have previous experience of literary study, but again, this is not essential. If you apply, we will ask you to submit a small portfolio of your work. Admission is selective and would be based on your portfolio and an interview. Each term you will attend four Saturday day schools, which run from 9.00 am - 5.00 pm at Ewert House in Summertown, Oxford. group discussions of each other’s work: the value of group activity as a catalyst for the creative imagination is a central tenet of the course. You will also attend one Sunday day school each term, which is paired with one of the Saturday schools. There is a six-day summer school (residence possible) at the end of the first year of study, in June, which provides an unparalleled opportunity to concentrate on living and working your craft. Throughout the course, you will be producing your own work (see below for more details). Remember that you will need to devote a considerable amount of time to your writing outside the timetabled sessions — you should plan for at least 12 hours each week. The first term provides an introduction to the three main genres: prose, poetry and drama. From the outset you will be able to engage in practical activity and wide-ranging group discussions of aims, techniques and issues. All good writers must first be skilled readers. Developing your strengths as a critical, intelligent reader allows you to consider and articulate the ways in which various kinds of writing work. In the second term, you can refine and develop your analytical skills with three weeks of Reading for Writers, followed by seven weeks of close attention to the structures and approaches of prose fiction. The third term concentrates on how to address the challenges of writing poetry and stage drama. Year 2 allows you to consolidate and broaden the advances in skill, confidence and analytical ability you will have made in Year 1. Term 4 provides in-depth concentration on short and long fiction, while Term 5 focuses on advanced Reading for Writers (three weeks) and further high-level consideration of the craft of poetry. Term 6 gives students up-to-the-minute experience of how to write broadcast drama. Each term you will have two tutorials of 45 minutes each. These one-to-one sessions allow time for concentrated appraisal of your work in progress, giving you feedback on the strengths of your work as well as those areas which may need improvement. The tutorials focus on work you have produced in relation to the genres studied during that term. This means that as early as Term 1 you have considerable freedom of choice to engage with prose, poetry or drama (though you should expect to engage with more than one category in that term). At the end of both years you will be able to work more extensively in your own area of interest, producing a portfolio of around 4,000 words in the case of prose and drama, or around 200 lines of poetry. Your second-year portfolio is allocated four term weeks for concentrated attention, guided by a preliminary tutorial discussion of the content you are proposing, and a review tutorial on completion of the project. At the Sunday sessions, visiting writers, speakers and tutors provide a wide range of voices to counterpoint and amplify the insights and opinions of the Diploma’s regular teaching team. You can hear readings by well-known writers from all genres, and engage in discussions with them, as well as enjoying related workshop sessions. These day schools occur once per term, on a Sunday adjacent to the regularly scheduled Saturday classes. The summer school is a vibrant culmination to your first year, allowing dedicated time and space for your writing. Sessions for the whole group are balanced by individual sessions which allow you to focus on areas of your choice. There is time set aside for uninterrupted writing, and guidance will be given, as a group and individually, about how best to focus your efforts during the summer vacation so that you can get the most out of your second year. Although it is largely non-residential, you may book accommodation, subject to availability. The summer school is an integral part of the course and included in the course fee. It usually starts at lunchtime on a Saturday in June and finishes at lunchtime on the Friday. From Sunday, each day begins at 9.30 am and continues to 7.00 pm, with breaks for tea/coffee and lunch. Two pieces of writing submitted each term. These are tied to that term’s seminar activities and are each expected to be about 2,000 words of prose, 15 pages of drama, or about 100 lines of poetry. The end-of-year portfolio submission, which will be around three times this length. If you have not recently been involved in assessment of this kind, do not regard it as a barrier. Tutors and other specialist staff will be happy to offer advice and guidance at any time during the course. You should be familiar with the use of computers for purposes such as word-processing, using e-mail and searching the Internet. Course assignments are submitted online, and although the online submission system is straightforward and has step by step instructions, you will need access to the Internet, a computer meeting our recommended minimum computer specification, and a sufficient level of computing skill to upload your assignments. Students of this course may use the student computing facilities provided in Departmental buildings. The Course Director is John Ballam, PhD. John is the author of two collections of poems, six stage plays, four screenplays, a novel and numerous reviews, articles and academic works. His best-known title is his memoir The Road to Harmony (1999; newest edn. 2013). He has been a contributing author to a series of business biographies for the prestigious Italian consortium Fondazione Istud. He has been a script consultant/screenwriter for several major film producers in Hollywood, London and Mumbai. His current work includes story-lining and character development for a children’s educational software firm. Matthew Barton has published three collections of poetry, the latest being Family Tree (Shoestring Press 2016). Awards for his work include an Arts Council Writer’s Award and a Hawthornden Fellowship. He was twice winner of the BBC Wildlife Poet of the Year, won second prize in the National Poetry Competition and the Hippocrates Prize for Poetry and Medicine, and most recently (2018) won the Strokestown poetry competition. Besides teaching on the Diploma, he has taught weekly classes in poetry at Oxford, and is currently a tutor and lecturer for the Oxford Summer School in Creative Writing. Frank Egerton studied English at Keble College, Oxford, and from 1995 to 2008 reviewed fiction for publications that included The Times, TLS and The Financial Times. He is interested in both the close examination of fiction and how technologies such as ebooks and print-on-demand are changing the publishing industry and offering fresh opportunities to writers. He is a member of the Society of Authors and AWP, and is a former editor of the Oxford Writer. He was chair of Writers in Oxford from 2008 to 2010. His first novel The Lock was published in paperback in 2003, the ebook version having been an Independent e-Book Awards finalist in Santa Barbara in 2002. His second novel Invisible was published in 2010. Also in 2010, he founded the micropublishing imprint StreetBooks. In 2016 he was co-investigator on a digital project looking at narrative shapes and is now in the process of completing a memoir entitled Trust: A family story. He is a member of Common Room at Kellogg College. 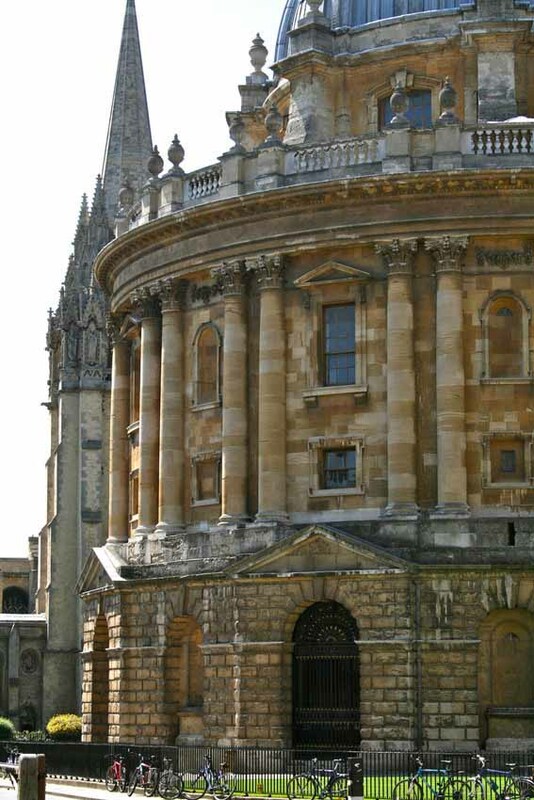 As well as teaching creative writing, he is a librarian and subject consultant with the Bodleian Libraries. Beatrice Hitchman read English and French at Edinburgh University and then completed an MA in Comparative Literature. After a stint in France, she returned to the UK to work as a film editor, also writing and directing short films which have been screened at festivals worldwide. In 2009 she graduated from the Bath Spa MA in Creative Writing, winning the Greene & Heaton Prize for Best Novel. Her debut novel, Petite Mort, was published by Serpent’s Tail in 2013. It was longlisted for the Desmond Elliott Prize and the Authors’ Club First Novel Prize, and adapted on Radio 4 Woman’s Hour as a ten-part serial starring Honor Blackman. She has a special interest in the short form and its development in the current era of publishing: her short fiction has appeared in journals and magazines including Stylist and Chroma Literary Journal. Jeremy Hughes has published two novels – Wingspan (2013) and Dovetail (2011). He was awarded first prize in the Poetry Wales competition and was short-listed for an Eric Gregory Award. He also publishes short fiction, life writing and reviews. He studied for the Master’s in Creative Writing at Oxford. Helen Jukes has published fiction and nonfiction in a range of print and online journals, including Caught by the River, BBC Wildlife, Resurgence, The Junket, and LITRO. In 2015 she was awarded the Skaftfell Artists Residency in Iceland, and in 2016 and 2017 the Alde Valley Festival Writing Residency. As a writing tutor Helen has worked with writers at every stage of their career, offering one-to-one manuscript advice and feedback and also delivering group workshops for the IDLER Academy, the University of Oxford, Crisis and Freedom from Torture. Her first book, A Honeybee Heart Has Five Openings, was published in the UK and Australia in July 2018 and will be published across Europe and the US in autumn 2018 and spring 2019. www.helenjukes.com. Shaun McCarthy has had a dozen stage plays professionally produced. He has written book and lyrics for two musicals, and has written single dramas and series for BBC Radio 4. He teaches a range of writing for performance courses for OUDCE and also teaches at the University of the West of England, and guest lectures at various universities in Europe. He runs his own production company, Hooligan Theatre Productions, to develop new works for stage with co-producing companies. He is currently writing a version of Strindberg’s ‘Miss Julie’ reset to Oxford 1963, and developing a social drama/ghost story set on the Oxford canal. Nicholas McInerny has been a professional and award-winning dramatist for thirty years with over 80 credits in TV, Stage, Radio, and now Film. For eight years he was one of the main writers on The Bill (Freemantle) and has also worked on Holby and Casualty (BBC). He has written over 30 radio plays and 15 stage plays. In 2018, he had a production of Belle Fontaine as part of the VAULTS FESTIVAL @ Waterloo East Theatre - , www.waterlooeast.co.uk/belle-fontaine - Project Managed the 4th UK International Radio Drama Festival at Herne Bay – www.radiodramafestival.org.uk, and saw the premiere of his Webseries Pilot – Yourdadsgay – www.yourdadsgay.co.uk, adapted from his highly successful BBCR4 Series, How to Have a Perfect Marriage. Nicholas has taught at over 20 Universities throughout the UK, moderated for UEA, and written the online course for OUDCE – Writing Drama. He is Chair of the Radio Committee of the Writers Guild of Great Britain. Robert Ritter is the author of several editorial reference works, including the Oxford Style Manual; he has been a contributor to many books on printing and publishing. His scholarly interest lies in the mediation and dissemination of literature, and its effects on the creative process. He teaches topics in English language and literature at Oxford; previously he spent twenty years as an editor in New York and Oxford. Robert has an honours degree in English and Creative Writing, and a DPhil in English Language and Literature. He is also a communications consultant and director of Oxford Style Ltd. The course team will provide both academic and pastoral support, including guidance on the development of effective study skills for students returning to study after a break. Additional support is available at a Departmental level by the Widening Access Assistant, who can be contacted on +44 (0)1865 280355 or via email at student.support@conted.ox.ac.uk. Before the start of the Michaelmas (autumn) term, we offer an Award-Bearing Course Preparation Study Day focusing on Academic Reading and Writing, which is free for students enrolled on our award-bearing courses. This can help students gain the confidence to read and follow academic assignment instructions and to respond to essay questions; and it discusses how to manage your time effectively, and how to locate and cite sources. The Department also runs a programme of Study Skills workshops and weekly classes (available at a reduced rate to current students), designed to enable you to develop and improve the skills needed for effective study. If you have any questions about ‘Award-Bearing Course Preparation Study Day’ or any Study Skills course, please email undergraduate@conted.ox.ac.uk or telephone +44 (0)1865 270286. Students who successfully complete this two-year course will be awarded the Oxford University Undergraduate Diploma in Creative Writing. The course carries 120 CATS points at second-year undergraduate level (FHEQ Level 5) in the Department’s Qualifications and Credit Framework. These credit points are widely recognised as credit for transfer to other Higher Education institutions, including the Open University. Opportunities vary for the transfer of credit, so students who are considering taking this course for this reason are advised to discuss the possibilities with the Course Administrator on +44 (0)1865 270286. If you need specific advice on your suitability for the course before making your application. Please use the apply button on this page to download the application form which includes a reference form. You should complete the reference form and send it to your referee, asking him/her to provide a reference by direct email to us. Please note that the reference is compulsory and we cannot consider your application without it. Your referee should ideally be a person who can comment on your suitability for the course, and on any academic or writerly achievements. Where this is not appropriate, you should name a referee who can vouch for your motivation, commitment to writing, and potential for development. A reference from a family member is not acceptable. a statement of between 300 and 400 words explaining why you wish to enrol on the course. Please do not submit any other documentation unless asked to do so. Please do not exceed the portfolio requirements. Late applications will be considered if places remain. No correspondence will be entered into if your application is unsuccessful. The fee for 2019–20 is £2,715 (Home / EU students) or £4,650 (non-EU students). An option to pay the fee in instalments is available. Your course fee includes all tuition, participation in the six day schools (including lunch) and, on a non-residential basis, the summer school. Lunches and the final dinner during the summer school are also included in the fee. Accommodation, should you require it for the summer school, is not included in your tuition fee. It may be possible, space permitting, to book accommodation for that period at the going rate. There may be a small increase in the fee for the second year of the course. Daisy McNally had not done any sort of creative writing until studying at OUDCE. She has now published her first novel with Orion. Tahmina worked as a senior manager in education before taking a career break to undertake the Undergraduate Diploma in Creative Writing.